Michael Bloomberg tells University of Michigan graduates at commencement to 'defeat demagogues"
ANN ARBOR, Michigan -- Michael Bloomberg used his commencement speech at the University of Michigan Saturday to call on graduates to "defeat demagogues," as well as to warn them that "those who promise you a free lunch will invariably eat you for breakfast." While not mentioning either 2016 presidential candidate by name, the businessman and former New York City mayor targeted those who cull support in the Republican party by blaming Mexicans and Muslims, and those in the Democratic party who target the wealthy and Wall Street. He delivered the spring commencement address at Michigan Stadium in Ann Arbor. 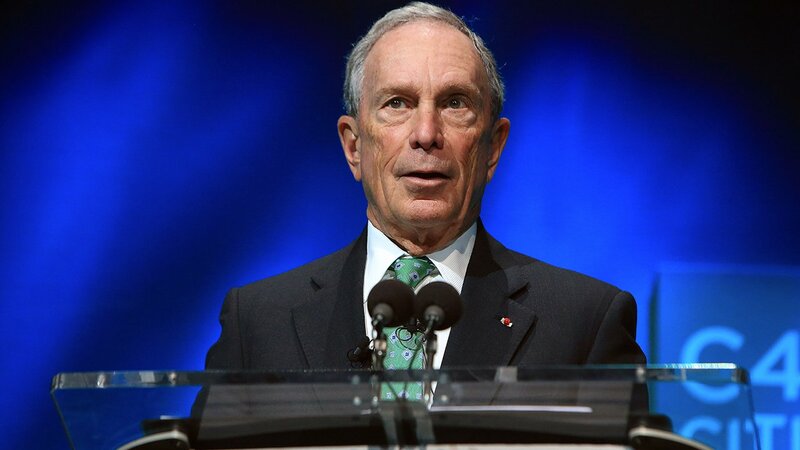 Bloomberg, who now serves the United Nations as its secretary-general's special envoy for cities and climate change, will receive an honorary Doctor of Laws degree. The school said he is among five people recommended for honorary degrees this spring. According to the university, about 9,100 students were applying to graduate following the winter 2016 term. - "In this year's presidential election, we've seen more demagoguery from both parties than I can remember in my lifetime. Our country is facing serious and difficult challenges. But rather than offering realistic solutions, candidates in both parties are blaming our problems on easy targets who breed resentment. For Republicans, it's Mexicans here illegally and Muslims. And for Democrats, it's the wealthy and Wall Street. The truth is: We cannot solve the problems we face by blaming anyone." - "If we want to stop demagogues, we have to start governing again, and that requires us to be more civil, to support politicians who have the courage to take risks, and to reward those who reach across the aisle in search of compromise." - "As durable as the American system of government has been, democracy is fragile -- and demagogues are always lurking. Stopping them starts with placing a premium on open minds, voting, and demanding that politicians offer practical solutions, not scapegoats or pie-in-the-sky promises." - "And one of the most dangerous places on a college campus is a safe space, because it creates the false impression that we can insulate ourselves from those who hold different views. We can't do this, and we shouldn't try -- not in politics or in the workplace. In the global economy, and in a democratic society, an open mind is the most valuable asset you can possess."